This post covers the top 20 Xango products. Back in the early 2000’s, Joe Morton traveled to Southeast Asia and while there, he discovered mangosteen. This fruit is a dark purple and has a delightful taste, along with being high in some vitamins and minerals. He brought the fruit back to America, and working with his brother Gordon, along with other founders (Aaron Garrity, Gary Hollister, Kent Wood, and Beverly Hollister) they began marketing a blend of mangosteen juice with other juices into their “kick-off” product called Xango. The product also became the name of the company, and since the foundation in 2002, Xango has added a wide variety of other products, many of which utilize the mangosteen in their ingredients. Xango uses the multilevel marketing business format. 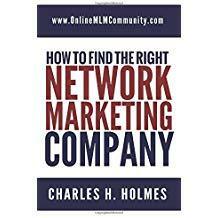 They have grown to a well recognized name in the MLM world. In today’s post, I am going to use online reviews, sales figures and other recommendations to give you what I believe to be the Xango top 20 products. I will start with #20 and work down to #1. Tell me at the end if you agree with my findings. This wonderful gel uses B12 Vitamins and other minerals to attack the signs of aging around the eyes. It hides fine lines and wrinkles, along with puffiness and bags by firming the skin. It is used in conjunction with #19. Using a special blend of oils, vitamins and peptides, this concentrate helps to stimulate the circulation around your eyes which reduces puffiness and bags. Xalo Reload is a supplement you add to your favorite drink. It is normally taken after a workout to help build lean muscle and to recover your muscles quicker. It has a blend of coconut water and mangosteen powder, along with glutamine and amino acids. This popular supplement is a blend of citrus extracts, Theanine, green tea leaves and eurycoma root. It helps to revive your natural energy and reduces fatigue. Many also claim a high reduction in stress when taking these supplements. Using a botanical blend, this product gently cleanses your skin, and deep within the pores taking the debris that sinks in from the toxins in the air. It also hydrates the skin without leaving an oily residue. As we age, our bones become more brittle. This wonderful supplement provides a high content of calcium along with other bone aiding items such as Vitamin D3 and Magnesium. This supplement is added to your beverage to defeat the effects of aging within your cells. It enhances cellualr regeneration, and helps both your physical and mental processes. This is a high selling product. This product is one of the beginnings to proper weight management. Cleansing the toxins and garbage from your intestinal tract is a wise way to start a life of healthy dieting. This product cleanses and purifies the system so you can feel new. This is a popular supplement that you add to your beverage. It helps to dilate your blood vessels so you gain added blood flow which increases oxygen to your body parts. This increases energy and an overall well-being. Using mangosteen with zinc oxide and other minerals, this skin treatment system helps to defeat the signs of aging and protects your skin from the many sources of damage from the Earth’s environment. This is not just a simple bar of soap; it uses the power of mangosteen to gently cleanse deeply into the pores and exfoliating the skin to leave you feeling clean and fresh. This supplement is a blend that helps you have great sleep and relaxation. It uses the natural ingredients of Valerian Root and Melatonin to help you sleep peacefully and gently, and wake refreshed. It helps your skin, hair and bones stay healthy. This is a high concentrate of the original Mangosteen juice blended with several other fruit juices. The Mangosteen is higher in the Reserve, and it supports intestinal, cardiovascular and immunity health in you and your family’s bodies. This is a protein shake that comes in either vanilla or chocolate. It is a blend of whey and vegetable proteins that can help with weightloss and body building goals. It is also gluten free. This is a highly favored shampoo that deep cleans and leaves your hair shiny and smelling terrific. The Mangosteen extract is blended with peppermint, eucalyptus, orange and rosemary. It leaves your hair looking attractive. This supplement was developed to aid men with prostrate function and to maintain proper testosterone levels. It is the right blend of minerals, vitamins and antioxidants to support men’s health. This is a huge selling Xango product. This oil helps to stimulate your skin’s natural processes. Many clients have claimed a healthier and radiant skin complexion after using Mangosteen Pericarp Oil. This product provides your body with 365 degrees of protection. The blend battles against environmental stress that ages our bodies. It supports a strong immune system with a complete spectrum of vitamins and minerals. This is the 2nd most favorite Xango product. This was the first Xango product, and it is still the #1. It is a blend of Mangosteen with other fruit juices. The active components from this blend create a healthy well-being. This juice supports an active and healthy metabolism and a strong cardiovascular system. While Xango juice is slightly pricey, many people claim better health because of it. Xango has had its share of naysayers, but the positive responses seem to be the majority. What are your favorite Xango products? Is your list different from mine? Please share your comments and questions in the comment area below. If you would like to try Xango products, or if this seems to be the home based business for you, I suggest you visit the Xango website that is linked in the reference section. Disclaimer: Neither I nor the Online MLM Community is affiliated in any way or form with Xango. This is not a paid review. It is written strictly for your information. Also, Xango products are not intended to treat or cure any diseases or health problems.